Drug dealers aren’t what they used to be. 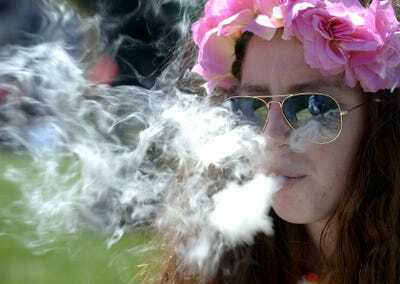 In Colorado, which in January became the first place in the world fully to legalise cannabis, buying a joint feels more like visiting a trendy craft-brewery than a drug den. Dispensaries along Denver’s “green mile” are packed with young, bearded men earnestly discussing the merits of strains with names like “Bio-Jesus” and “Death Star”. Some varieties claim to be inspirational, while others say they promote relaxation, or “couch-lock”, as the tokers call it. Colorado’s pot industry expects to rack up sales of $US1 billion this year. Across America the market is reckoned to be worth about 40 times that much. Most of it is still illegal, of course. But slowly, entrepreneurs are prising it out of the hands of crime gangs. Nearly half the 50 states permit the sale of marijuana to medical patients, which in practice may include anyone willing to fake a back problem. This week Oregon and Alaska joined Colorado and Washington in legalising it for recreational purposes, too. If other countries legalise, as Uruguay already has, it could open up a global cannabis market worth perhaps $US100 billion a year (by the best guesses, which are stabs in the dark). Who will corner that market? In Colorado a gold rush of excitement has seen hundreds of tiny firms sprout up. Just as everyone in San Francisco seems to be designing an app, everyone in Denver has an idea for a canna-business. Pot-friendly ski-chalets, taxi services and wedding planners are taking orders. Non-smokers can sign up for cannabis cookery courses. For the truly lazy, there is the option of lying back and being rubbed down with weed-infused massage oil. Despite the boom, no big force has yet emerged. Even Colorado’s biggest retail chains, such as LivWell, Strainwise and The Clinic, have fewer than 10 branches each. No firm has much more than about 7% of the cultivation or retail market, reckons Mike Elliott of Colorado’s Marijuana Industry Group. What would it take to build a Marlboro of marijuana, then? Most of the obstacles are regulatory. Until recently Colorado’s dispensaries were obliged to grow at least 70% of the cannabis they sold, and cultivators had to retail at least 70% of what they grew. The idea was to make it easier to keep track of the drugs–“from seed to sale”, as the state government puts it–and avoid creating excess supply, which could feed the black market. But one consequence is that firms have been unable to specialise. Some companies are good at farming but not at selling; others have nice storefronts but lower-quality products. No company has grown as fast as it might have, were it able to focus on one thing. Cannabis businesses have been financially hamstrung, too. Getting a bank account is difficult, since even local banks must obey regulations laid down at the federal level, at which cannabis is still outlawed. About one-third of the industry is completely unbanked, according to Mr Elliott. Last month hundreds of bank machines inside cannabis dispensaries in the legalised states were unplugged, after the South Dakota-based bank that ran them got cold feet about its legal position. Banks are unwilling to offer loans to businesses that could, in theory, be shut down at any moment by the Feds. Equity financing is tricky too, since both Colorado and Washington have imposed residency requirements on the owners of marijuana businesses – including anyone with an equity stake. The federal ban also makes it hard to do business in more than one state. Take Dixie Elixirs, which makes pot-infused drinks, chocolates and other comestibles. In its Denver factory, which looks like a collaboration between Walter White of “Breaking Bad” and Willy Wonka, technicians in beard-nets stir cauldrons of molten marijuana-laced chocolate. Dixie is planning to expand into other states–it wants to be “the PepsiCo of the cannabis industry”, says Chuck Smith, its chief operating officer. But the federal ban means it cannot send its products across state lines; instead it will have to build a factory in each state where it does business. “The economics of the product have to work at all scales, from California to Connecticut,” says Mr Smith. It may not be long before these obstacles fall. Even without inspiration from a drag of Bio-Jesus, it is not hard to imagine a future in which the federal ban is eased, now that voters in so many states have backed liberalisation. The innovative pot entrepreneurs in places like Denver would welcome that. But should they? If and when the federal ban is dropped, it will not just allow them to expand. It will decontaminate the product’s image, clearing the way, in time, for other firms to risk their reputations in the market. As happened with alcohol after the end of Prohibition, and has also happened with tobacco, the pot industry would probably come to be dominated by a few giant corporations. Would household names really consider selling cannabis? They already have. In 1969 a Philip Morris executive wrote to the Justice Department, requesting a sample of marijuana for testing. In 1970 British American Tobacco put together a blueprint for a “cannabis-loaded cigarette”. Cannabis is certainly controversial. But then so is lung cancer. 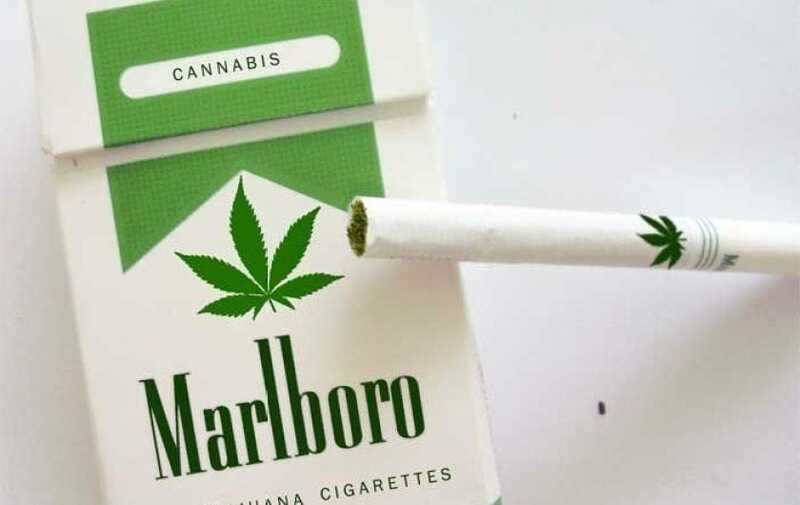 It may well be that the executives best placed to make a mint from marijuana, once it is fully legal across America, are the Marlboro men themselves.